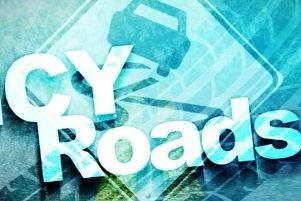 Lancashire's roads could become perilous tomorrow as ice is expected to form across the county overnight. Forecasters are warning of 'arctic-like' weather with hazardous icy conditions on Tuesday. The severe weather forecast has led the Met Office to issue a yellow warning for parts of Lancashire, including Preston and Lancaster. Ice is expected to form on roads and pavements overnight into Tuesday morning and the weather warning will remain in place for 12 hours from midnight. People are urged to be cautious when braving the outdoors tomorrow, with slips and falls expected on untreated surfaces, including pavements and cycle paths. 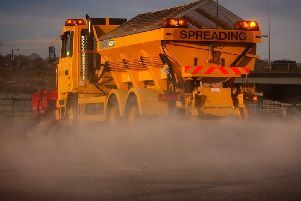 A yellow warning has been issued as ice is expected to form on some surfaces overnight into Tuesday morning across Lancashire. Some roads and railways could also become treacherous, with commuters facing disruption to rail services and road closures. According to the Met Office, a band of freezing rain and hill snow will move south from Scotland into northern England during Monday evening. Blustery, wintry showers are expected to arrive early on Tuesday morning, with a risk of hail and thunder. This will be lead to surface temperatures rapidly dropping, with widespread ice forming across the county. Persistent rain and hill snow will move eastwards through Tuesday morning, to be followed by strong winds and wintry showers in the afternoon. The minimum temperature for Preston on Tuesday is 0 °C. The yellow weather warning for ice will remain in place until noon on Tuesday, but hail, sleet and snow showers could continue to affect Lancashire until later in the evening. There could even be some small accumulations of snow on higher ground.